Rosie O'Neill is a newbie entrepreneur with a major sweet tooth. 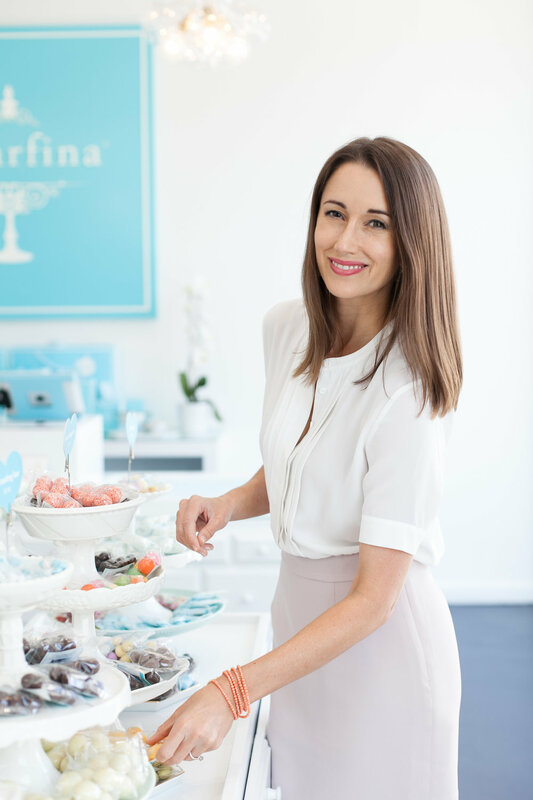 In July 2012, she launched her first company, Sugarfina, a luxury candy boutique featuring a collection of artisan sweets from around the globe. Inspired by a third-date screening of the original "Willy Wonka and the Chocolate Factory," Rosie and her co-founder/fiancé Josh Resnick dreamed up a “candy boutique for grown-ups” featuring the finest confections packaged beautifully in the brand’s signature blue Bento Boxes. Named to Fast Company’s “100 Most Creative People” list and Goldman Sachs "100 Most Intriguing Entrepreneurs," Rosie and her team are disrupting the sweets space with an innovative approach to confections and retail. Before candy, Rosie played with dolls for 7 years as Director of Marketing for Barbie at Mattel, where she led a $600M global business unit that sold more than 50 million Barbie dolls annually. Her favorite candies are Champagne Bears, Peach Bellini and Fuji Apple Caramels. Thank you! We look forward to seeing you on October 2nd at 9:30 am! 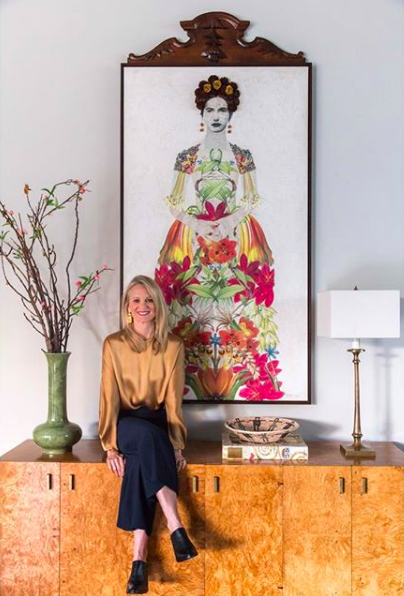 Brenda Bogart holds a degree in Interior Design from TCU and has studied painting and drawing at SMU extensively under Mary Vernon and Barnaby Fitzgerald. In 2006, Brenda picked up her paint brush after a long career in interior design working for Trisha Wilson & Associates and operating her own design firm. In the 1980’s and 90’s, Brenda owned a children’s clothing manufacturing business, B’s T’s, and raised her two children, Stephanie and Bradley Stephenson. Brenda, a native Texan, lives in Dallas with her husband Bill and has a blended family of six children. Nationally recognized journalist Shelly Slater has twenty years of experience getting to the point. As a news anchor and reporter, she has won multiple Emmy Awards and a National Edward R. Murrow Award. Shelly knows how to engage an audience. Her career has taken her from live breaking news to interviews with everyone from President George W. Bush to Jimmy Kimmel and Amal Clooney. Shelly now runs her own company to help corporations win business & trust by delivering a message that sticks. From lawyers, to CEOs, and real estate groups, Shelly crafts stories that break through in a distracted world. Shelly has extensive experience in public speaking and presentation trainings to help both individuals and teams deliver a message that sticks. Shelly and her sister are starting a new venture early 2019 in The Design District. They are creating The Slate: where co-working and content studios come together! Powered by Women. Because Empowered Women, Empower Women.